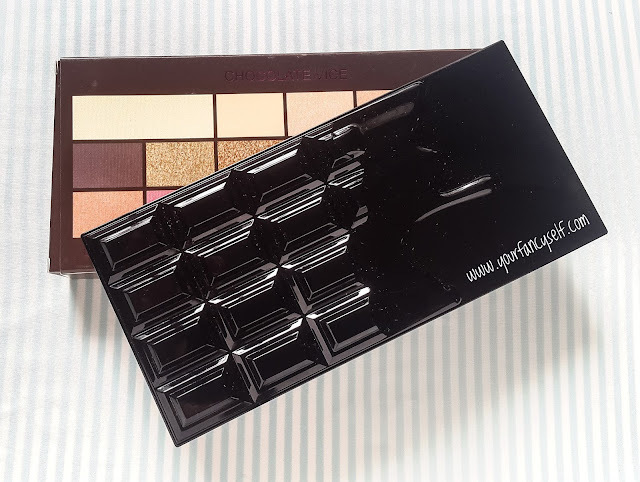 Makeup Revolution I Heart Makeup-Chocolate Vice Palette Review & Swatches - YOUR FANCY SELF! 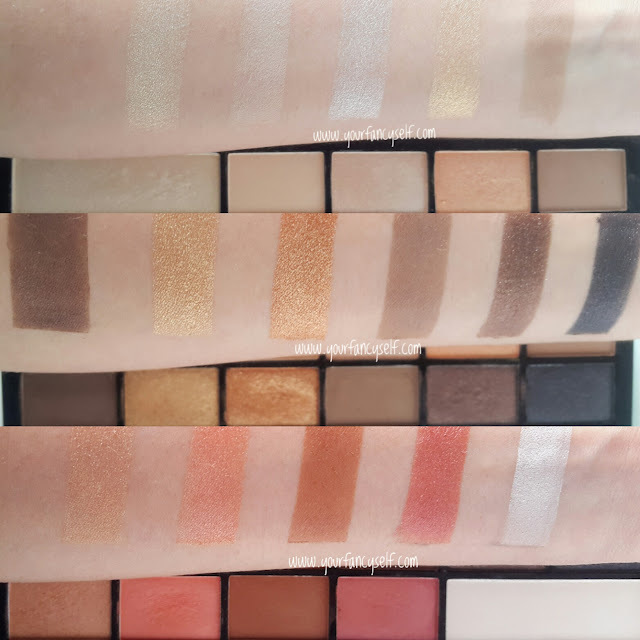 I took my obsession for the brand Makeup Revolution London to another level and bought another amazing eye-shadow palette. 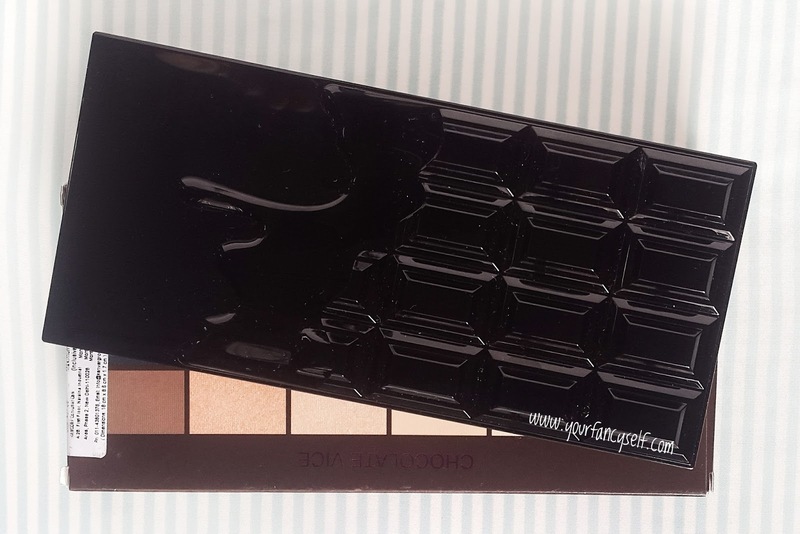 So, I bought the I Heart Makeup- Chocolate Vice, which is a 16 eye-shadows palette. It does come with a dual-ended sponge applicator brush which in my opinion is just good for shimmery shades, however I do not prefer such applicator. 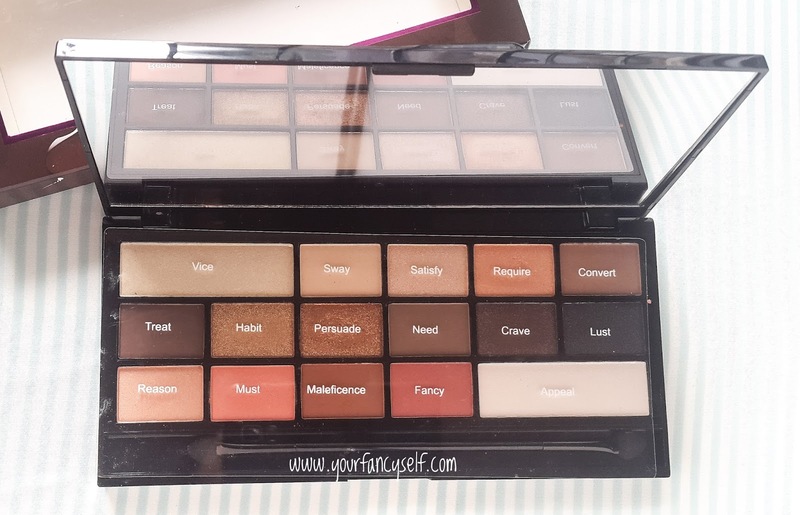 When I opened this palette for the first time, the only word that came out of my mouth was WOW! The palette is a perfect SUMMER PALETTE. 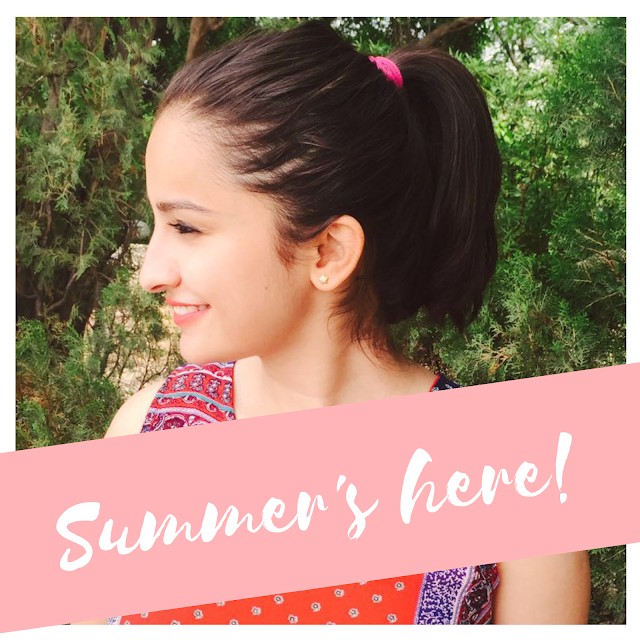 Its has the warm shades, Peachy shades, shimmery shades, highlighter shades and matte shades. Perfect! This is a very versatile palette, and knowing how to play with these beautiful shades, I bet you can create so many looks. Talking about the texture and feel the of eye-shadows, the matte eye-shadows are very smooth and finely milled powder like. I did not experience any fall out with these powdery shades as such while creating some looks. The shimmery shades are creamy and highly pigmented. There was very minimal fall out while working with these shades. All the eye-shadows swatch with great pigmentation and apply with same pigmentation with the brush. These eye-shadows are of great quality and would stay on for good amount of time on the eyelids.